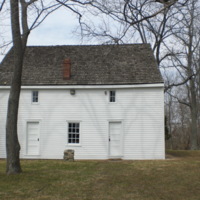 A picture of the Frying Pan Meeting House adjacent to the cemetery. 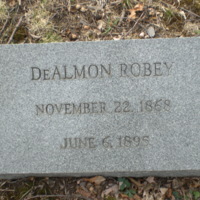 Located at Frying Pan Baptist Church, Herndon, Va.
Headstone belonging to DeAlmon Robey (Nov 22, 1868- June 6, 1895). 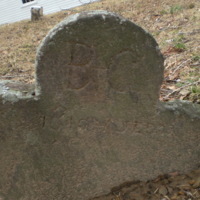 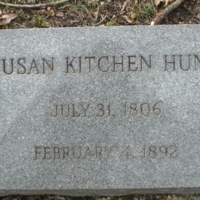 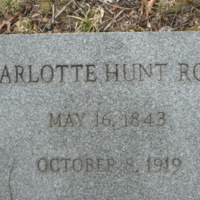 Headstone belonging to Susan Kitchen Hunt ( July 31 1806- February 4, 1892). 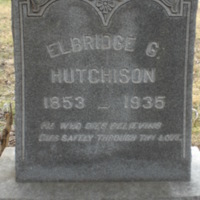 "He who dies believing dies safely through thy love." 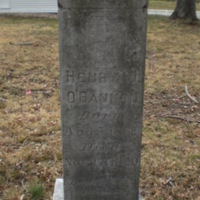 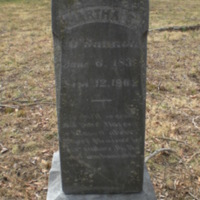 Headstone belonging to Martha G. O'bannon (June 6, 1839- Sept 12, 1902) wife of Henry J. O'bannon ( Aug 5 1831-Nov 12, 1920). 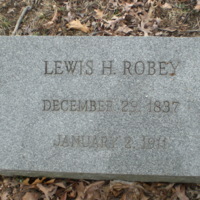 Recipient of the Southern Cross of Honor. 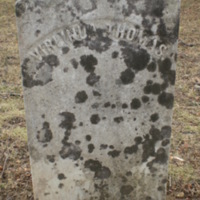 Headstone belonging to Virlinda Thomas.